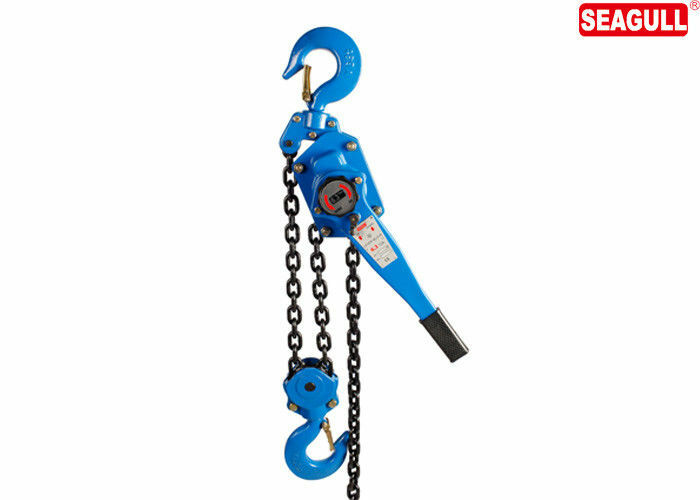 The SEAGULL manual lever chain hoist features a rugged steel frame, load chain hardened for strength and durability and compact design that's perfect for tight spaces. Enclosed gear housing provides protection that makes it suitable for outdoor use. Guide slots guard against jamming and slipping. * Capacity from 0.75T to 6T. * Bearings inside load chain sprocket increase mechanical efficiency. 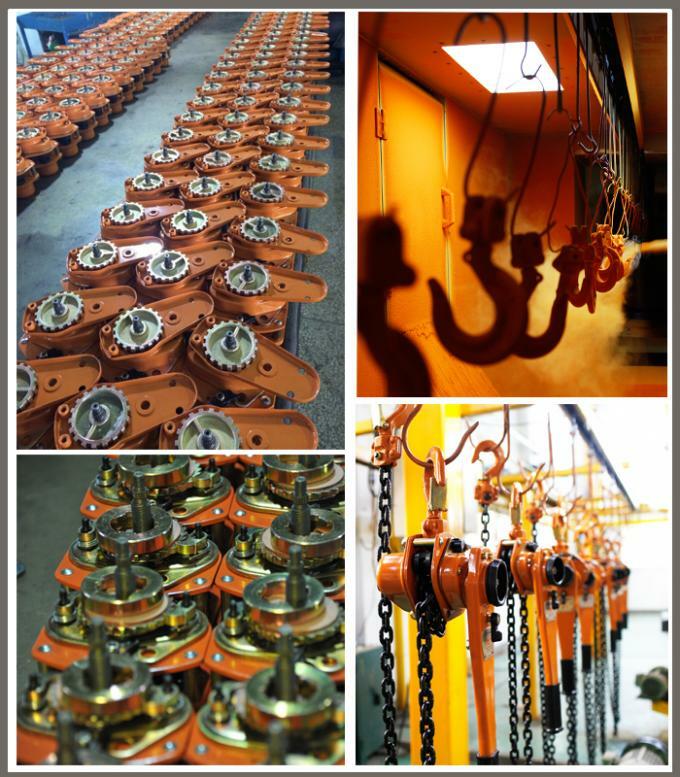 * Chain guides provide smooth chain operation . 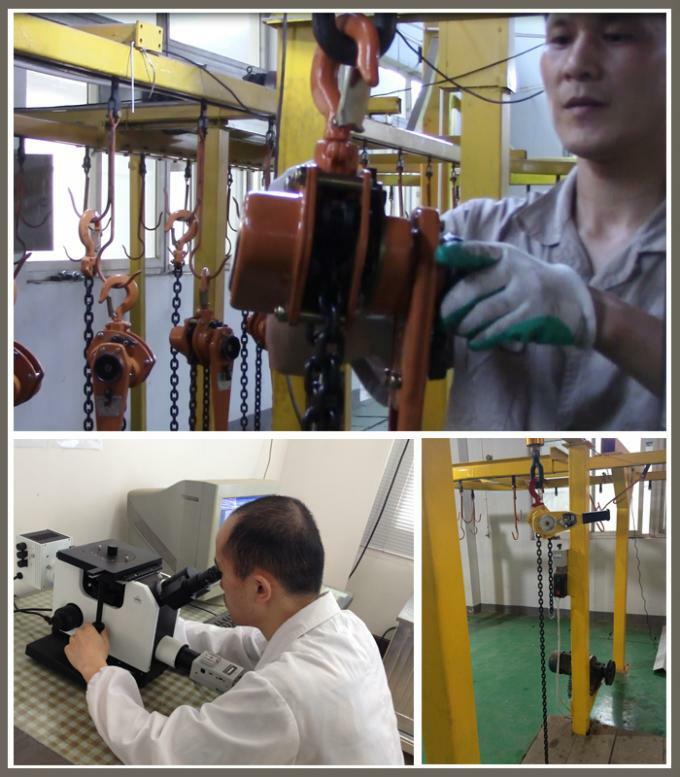 * Gear assembly provide smooth operation by little hand efforts. * Drop forged hooks and hook holders, heat treated to ensure the safety and durability. * lightweight steel construction with durable powder coat finish. 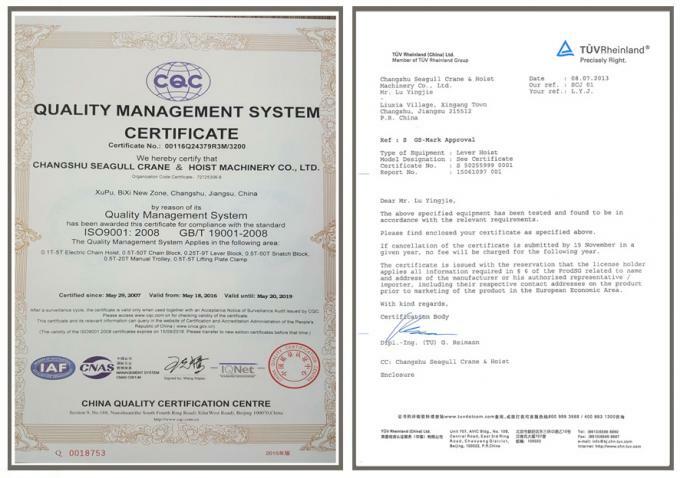 * T80 grade high tensile lifting chain make more effective. 1. After the use of gourd should be cleaned up, and coated with anti-rust grease, stored in a dry place. 2. Maintenance and maintenance should be familiar with the gourd institutions, to prevent the principle of the machine does not understand the random disassembly. 3. Gear installation according to the drawings. 4. When the groove nut is installed, turn the handwheel clockwise to make the ratchet wheel and the friction plate pressed on the brake air seat. 5. 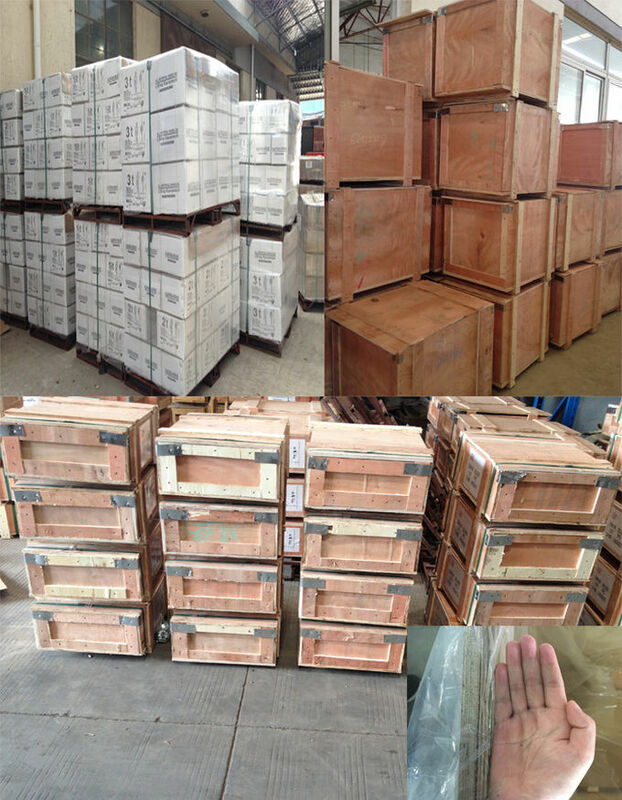 Gourd after cleaning inspection and maintenance, should be carried no load and heavy load test, to confirm the work is normal, automatic and reliable to use. The friction surface of the brake must be kept clean and sludge contamination is strictly prohibited.